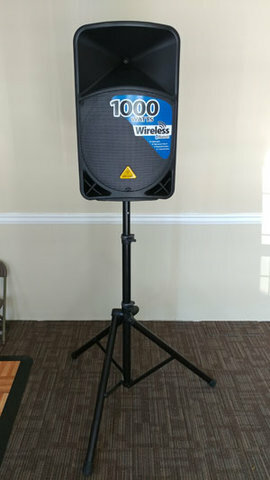 This 15" powered speaker is easy to set up and use, and provides great sound for your next party or event. Includes a stand and aux cable to connect your phone, laptop, or other device with standard headphone jack. Also features bluetooth connectivity.